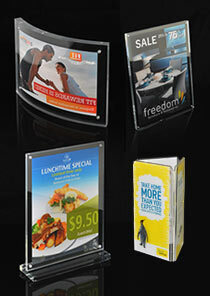 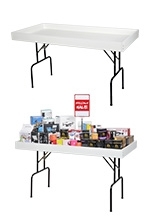 POS Ticket & Price Displays A4, A5, 6" x 4" & More! 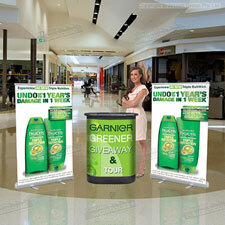 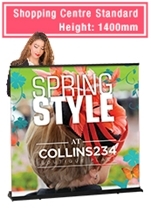 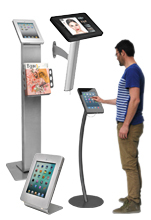 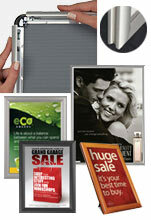 Shopping Centre Displays have all you Need for a Complete Marketing Kit! 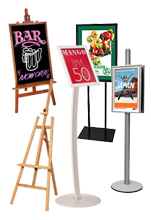 Shopping centre displays help you to promote and advertise outside of your business or in kiosks, grabbing the attention of potential clients and then letting them interact with customers to learn more about merchandise or deals. 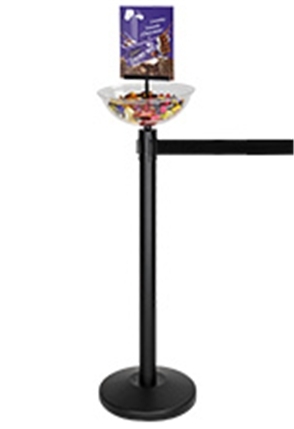 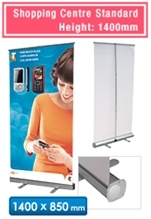 These pop up stands are offered at affordable prices that work within the constraints of any budget without skimping on features. 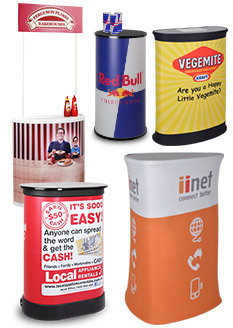 Much like trade show stands, the shopping centre displays combine custom graphics with a counter or table that help make it easy to start a conversation with potential clients. 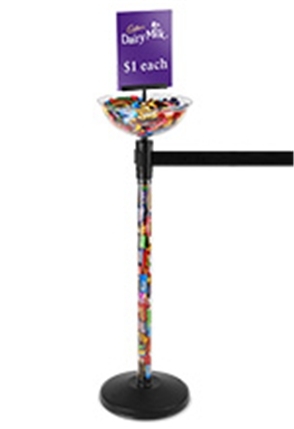 Most of the kits feature a greeting counter that is quickly assembled without any tools and completely portable like the rest of the products! 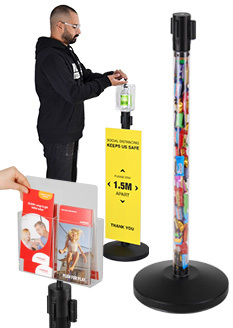 These greeting counters are perfect for addressing patrons as they learn about your business as well as placing additional information they can take home with them or even have product samples of small items for them to inspect. 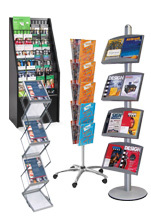 The interior of the displays is open as well with a shelf, perfect for placing additional materials or even keeping a beverage out of sight. 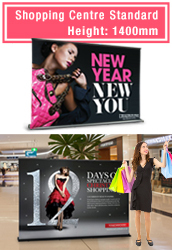 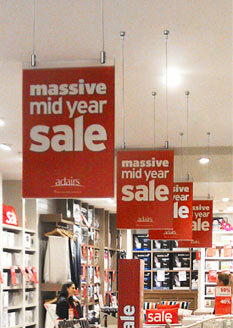 How do these shopping centre displays benefit your company? 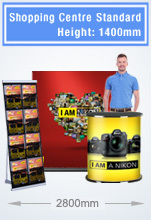 By purchasing our kits that have been combined together based on what our customers already purchase, you already know these set-ups are effective and let you start outperforming the competition straight away! 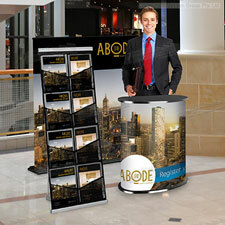 The trade show stands also use one of the most effective ways to draw the attention of potential clients: large posters. 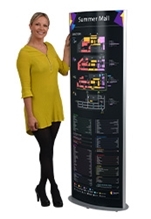 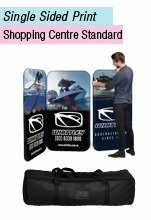 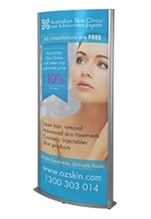 Each of the kits feature at least one pull up banner that is 1400mm tall, the shopping centre standard that ensures you will be able to use any of our kits at your business without worry. 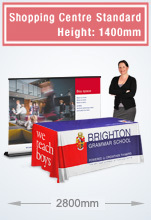 The pull up banners are printed onto a vinyl banner using a a digital printing process that vividly displays all colours and offers a true depiction of your custom designs. 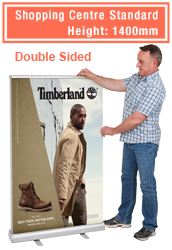 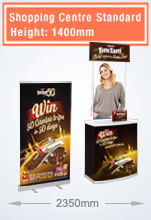 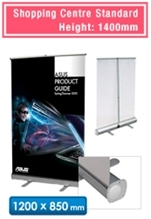 The pop up banners feature a lightweight aluminium casing that protects the banners, and feature each a black or silver finish that both offer a professional looking display. 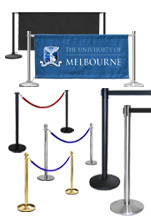 Setting the displays up takes no time or tools, simply extend the collapsible bars, put them in place, and pull the banners into position, attaching them to the top of the poles. 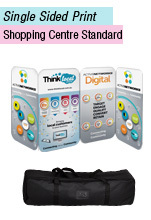 All the items included with the kit are portable as well, with most including carrying bags that hold all the components and makes bringing them between events very easy. 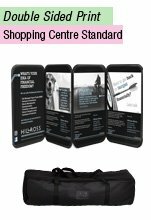 Storage isn't a concern either, as the pop up kits can all be kept in their carrying bags at your business without worry of grime or dust gathering to keep a tidy display that is always ready to go for the next event! 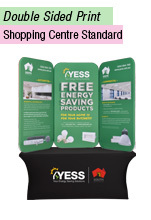 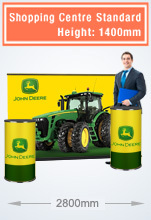 Browse through our various kits and find the right combination of pull up banners, folding table, and greeting counter that makes sense for you to have at your shopping centre to engage customers and get them interested! 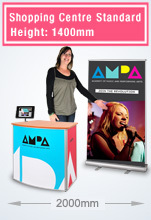 Using the right pop up stands at your events can be the difference between customers coming into your booth or checking out other vendors. 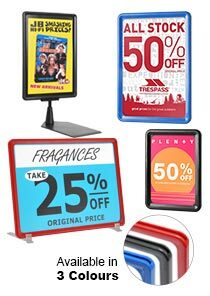 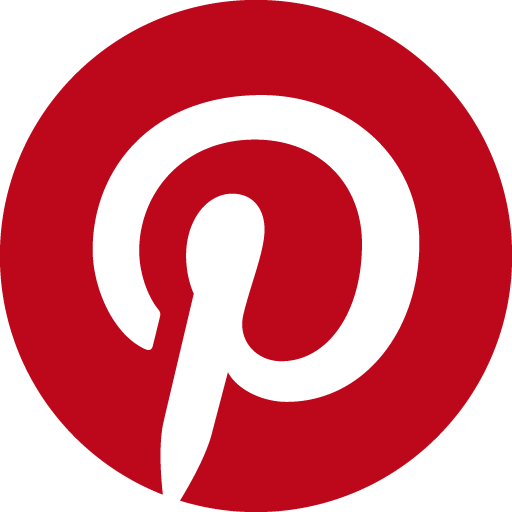 Having an exciting display that draws them in, while an important factor, even more important may be finding one that is within the budget you have set aside. 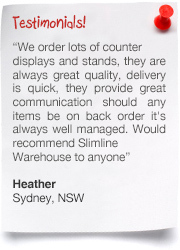 That's why the huge range of items offered in our online catalogue is great for any business, as all of our products are sold at prices that are competitive or lower than any other website. 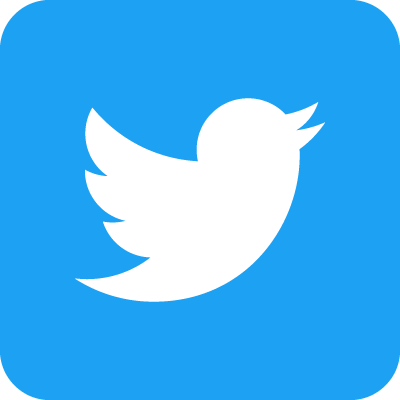 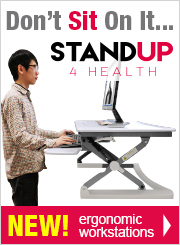 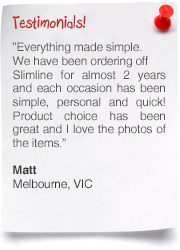 Even better, we are always adding new products for you to check out to have the latest trends, styles, & technologies available. 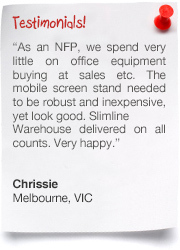 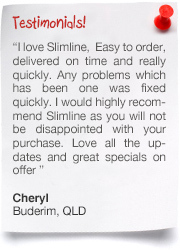 Slimline Warehouse has been a leading supplier of great products to Australians for over 25 years, with a range of POP, POS, retail, & exhibition products that can't be matched. 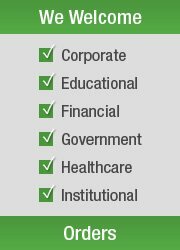 Each item is inspected thoroughly prior to being offered for sale, giving you piece of the mind that you will get a great return on investment on a product that will last for years to come. 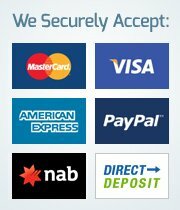 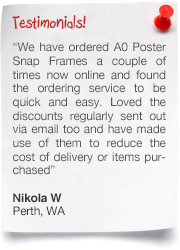 Despatch is provided to anywhere in Australia from our warehouse in Melbourne, including to Sydney, Canberra, Brisbane, Adelaide, Perth, Hobart, Gold Coast, Wollongong, Townsville, Geelong, Alice Springs, Darwin, Cairns, Newcastle, & Sunshine Coast!